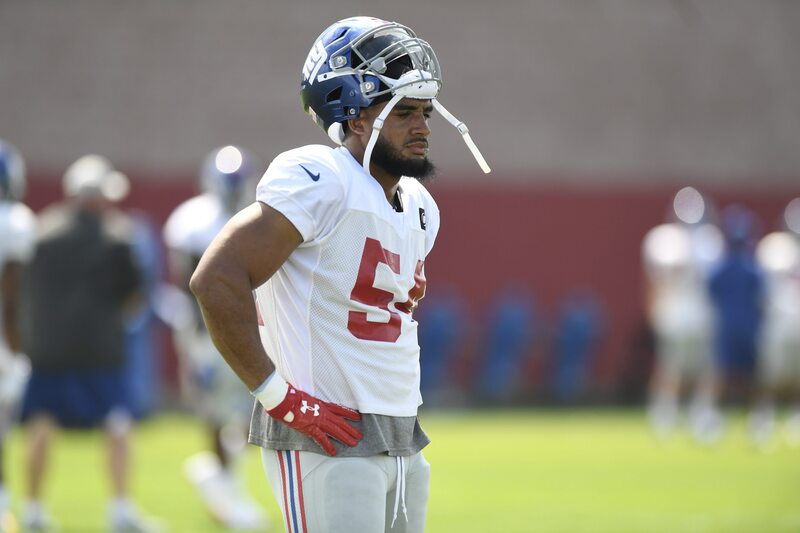 It doesn’t seem like Olivier Vernon is going to be a New York Giant by the time next season starts. That’s not because of the words of some insider source, or because of anything official, but few within the fanbase would have the feeling that Vernon is coming back following a season that was flat-out disappointing. Vernon started off injured, and needing some time to recover from that is understandable, but Vernon practically never recovered fully and didn’t perform like a player that was being paid the second most on the team in base salary. Based on performances, there’s no way that Vernon should have made more than players like Nate Solder, Eli Manning, Janoris Jenkins, or even Alec Ogletree. Assuming that the Giants make a move to save themselves the money and move on from Vernon, though, who are they going to bring in to fill his role? Or if they don’t bring in a new player, which current one will step up? If the Giants are willing to pay up, Dee Ford is one such option. Ford made significantly less than Vernon did last year but produced 13.5 sacks for the Chiefs. Ford is one of the players that will possibly be franchise tagged this year, but that move hasn’t happened yet and Ford is set to be an unrestricted free agent. Could the Giants afford to pay up? Well, they might, if they can get rid of the $19.5M cap hit that Vernon will bring to the team next year. That cap hit won’t make it easier to build up the team for next season. Another player that had a smaller cap hit than Vernon next year and is now a possible free agent is Jadeveon Clowney, who like Ford, produced more last season too. Clowney produced nine sacks and could end up on the market if the Texans don’t franchise tag him. And while some of the top pass rushing free agents will likely get the tag, not all of them will. There will be someone available, and if that’s Clowney, his cap hit may end up looking similar to what the Giants are paying Vernon right now. Little change on the financial side, but an improvement for the Giants on the field. This isn’t a bad year for trying to sign a veteran pass rusher, and if the Giants can find some way to offload Vernon, they’ll have more cash to work with under the salary cap. The options are out there, and the amount Vernon is making only to perform poorly is a lot. That’s not to say that the Giants would definitely be able to land a big name player like Dee Ford or Jadeveon Clowney, but they would be able to bring in one or more replacement players who can make more of an impact and help the defense take a step forward this year.